A two-part, multi-platform ABC News Nightline report on “big coal” and dirty money; on Massey Energy Corporation, its CEO coal-boss Don Blankenship, and his relationships with West Virginia’s Supreme Court justices. Larry Starcher, a whistleblower Supreme Court Justice, provides his perspective on the issues. Hugh Caperton talks about his lawsuit against Massey Energy. Co-producer Asa Eslocker gets attacked and strangled by Don Blankenship. 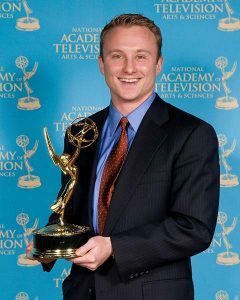 Later, ABC News Investigative Unit wins the 2008 National News Emmy Award for Investigative Business Reporting.